The cityscape of Mobile, Ala., is seen behind the docked USS Gabrielle Giffords, a Naval littoral combat ship built at the Austal USA shipyards on the Mobile River. The ship is named in honor of former U.S. Rep. Gabrielle "Gabby" Giffords of Arizona. 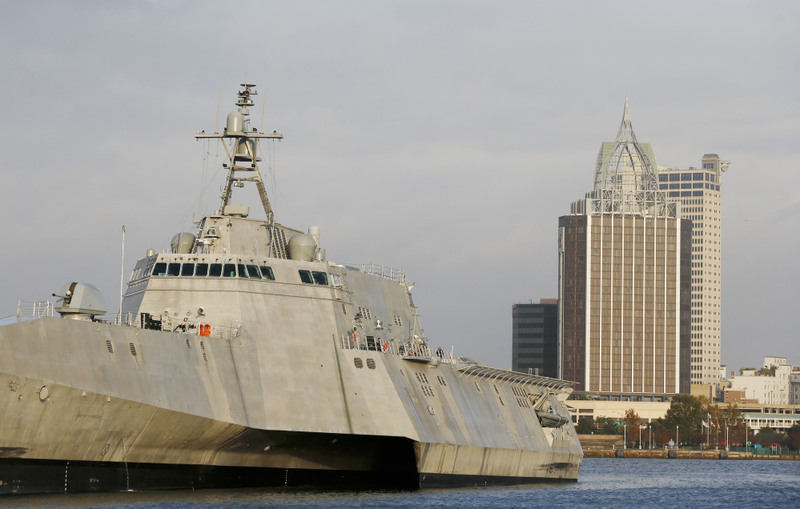 The city scape of Mobile, Alabama, is seen behind the docked USS Gabrielle Giffords, a Naval littoral combat ship built at the Austal USA shipyards on the Mobile River. The ship is named in honor of former U.S. Rep. Gabrielle “Gabby” Giffords of Arizona.